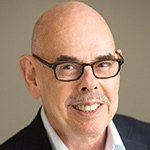 Henry Waxman, who was a powerful Los Angeles Congressman, is working Washington for a Pennsylvania drug company that is positioning itself as the leader in opioid addiction treatment. Braeburn Inc.’s new drug application for CAM2038 weekly and monthly buprenorphine formulations is currently under review by the Food and Drug Administration. Democrat Waxman, who was involved in healthcare, environmental and technology issues, stepped down from Congress in 2015 after a 40-year career that was capped by chairing the Energy and Commerce Committee and Committee on Oversight and Government Reform. Jeremy Sharp, who was deputy commissioner for policy planning, legislation and analysis at the FDA and counselor for science and public health for Secretaries Kathleen Sebelius and Sylvia Burwell, joins Waxman on the push for Braeburn. In January, Braeburn received $110M in financing from a Wellington Management Co.-led group that included Deerfield Management, RA Capital Management, New Leaf Venture Partners, Rock Springs Capital and Apple Tree Partners.